Well, this morning’s issue with linked Flickr images seems to have magically resolved itself, so here’s a bonus post to make up for the disruption! 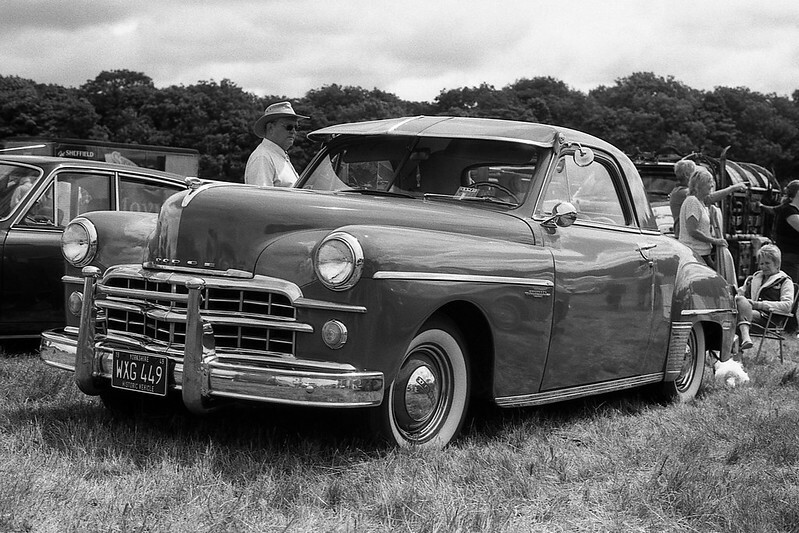 The front end of some vintage car or other (I neglected to take note of what it was and don’t have enough here to ID it). 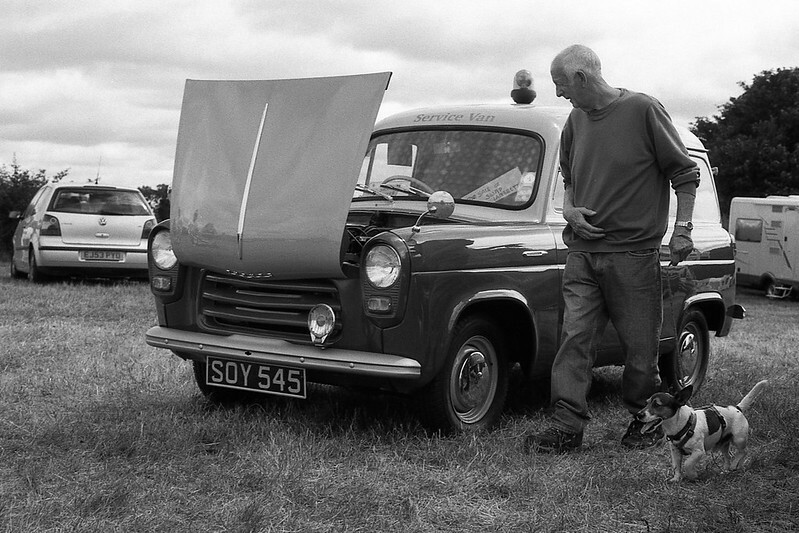 Taken at the Classics on The Moor car rally in Sheffield. 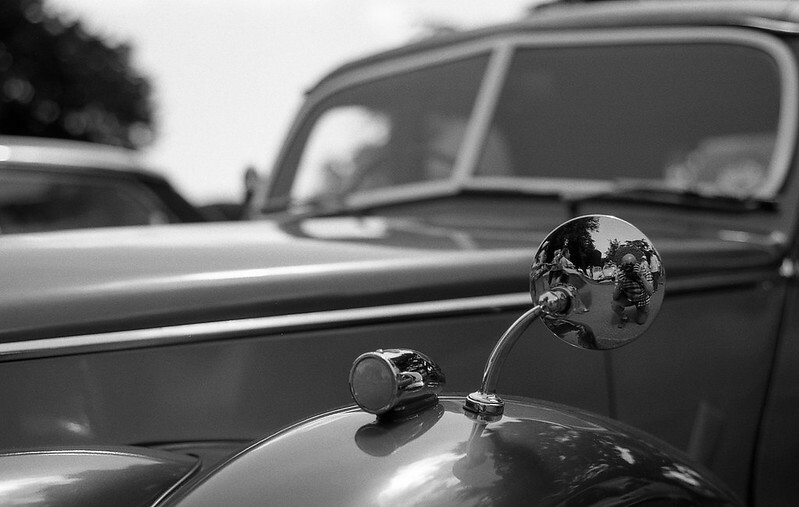 This outing was my first time shooting Ilford Delta 100 and I’m very happy with the results. Very clean and contrasty. As my slovenly updating of the blog continues, I thought I’d just drop in a bunch of photos to keep it alive! 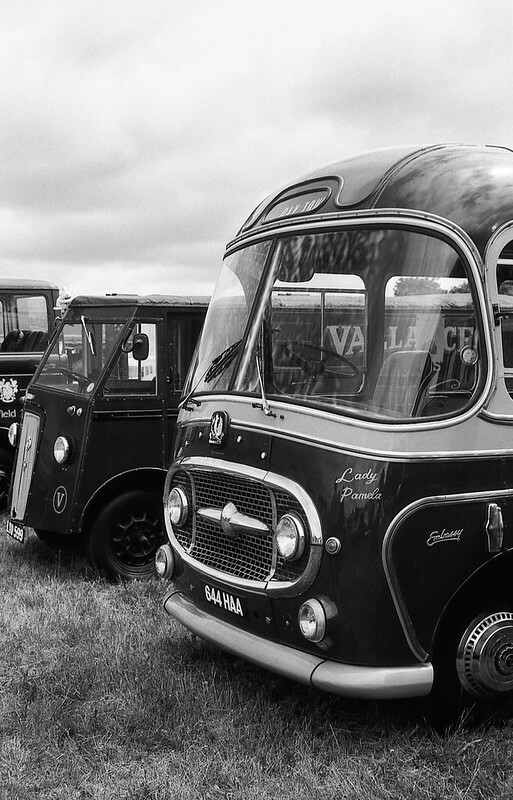 These were taken back in June at the Sheffield Steam Rally ay North Anston. 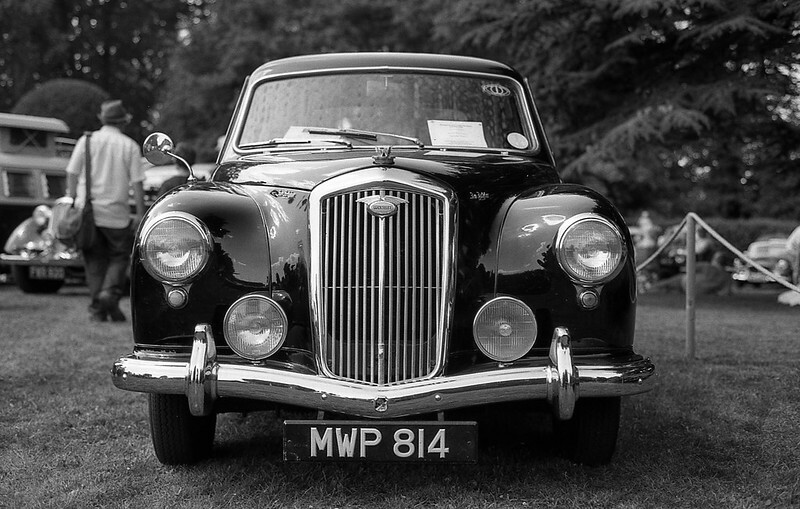 I’ve already posted the shots of the traction engines, but there were also some classic cars that I photographed, plus a few random shots. 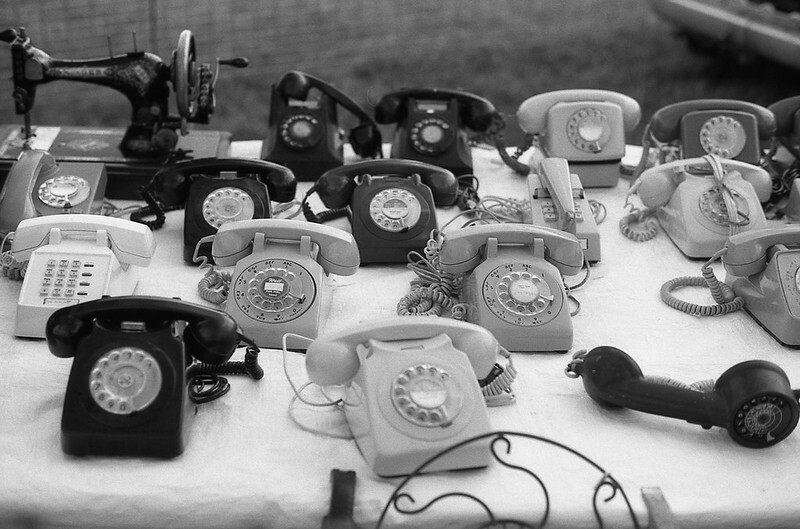 These were shot with my OM-1 with the F.Zuiko 50mm f/1.8 on Fomapan 100. 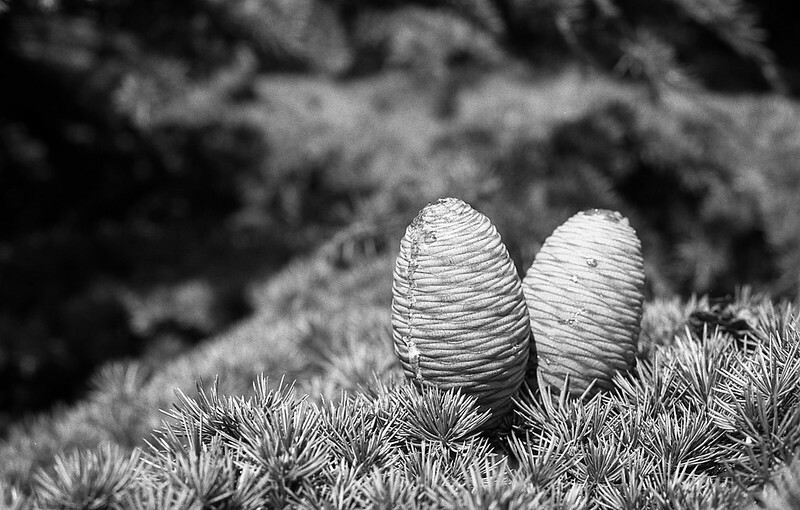 I like the Fomapan, it’s a little grimy in my experience, sometimes having little back soot-like flecks on the negatives, but the results are pretty nice. 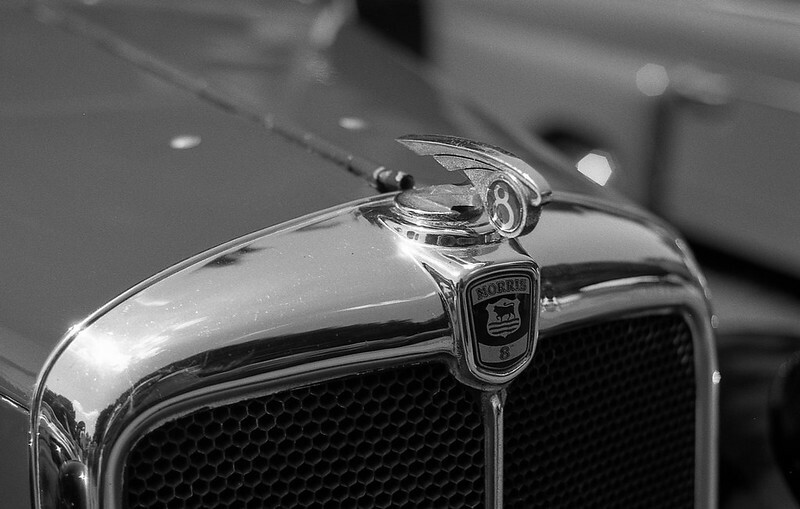 Following on from yesterday’s post, here are the remaining black and white shots from Brodsworth Hall. Sorry it’s a bit of a hectic post! 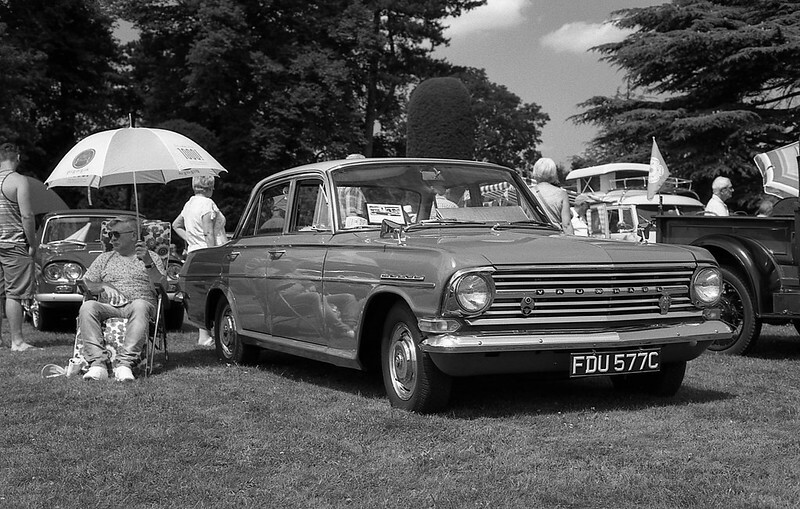 I’ll start off with the classic car related photos and then move on to the others taken in the grounds. #1 – A cheeky selfie. 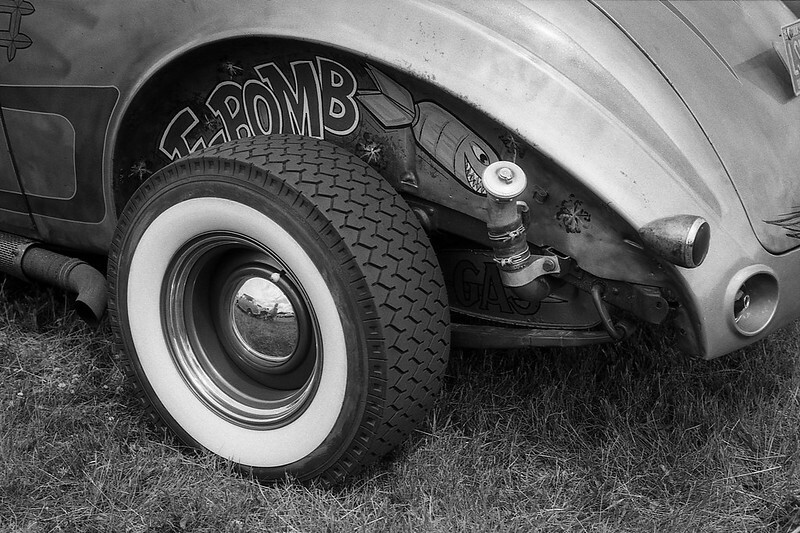 #2 – Someone relaxing behind their car. 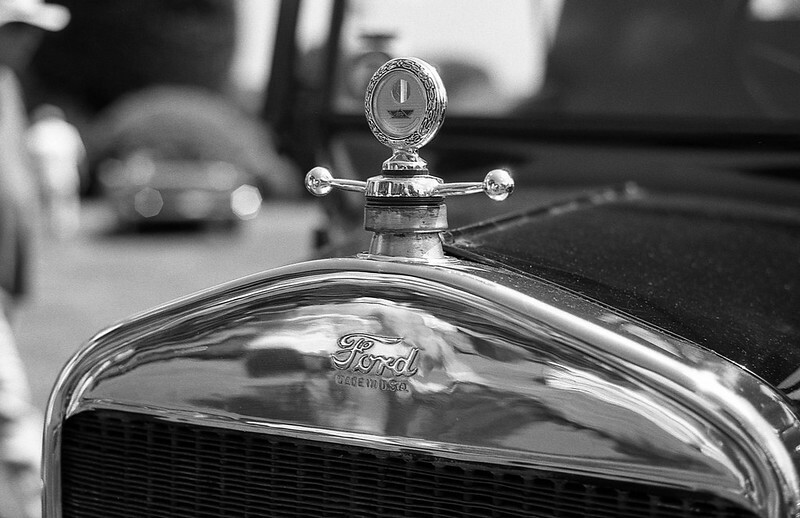 #3 – Model-T Ford hood. 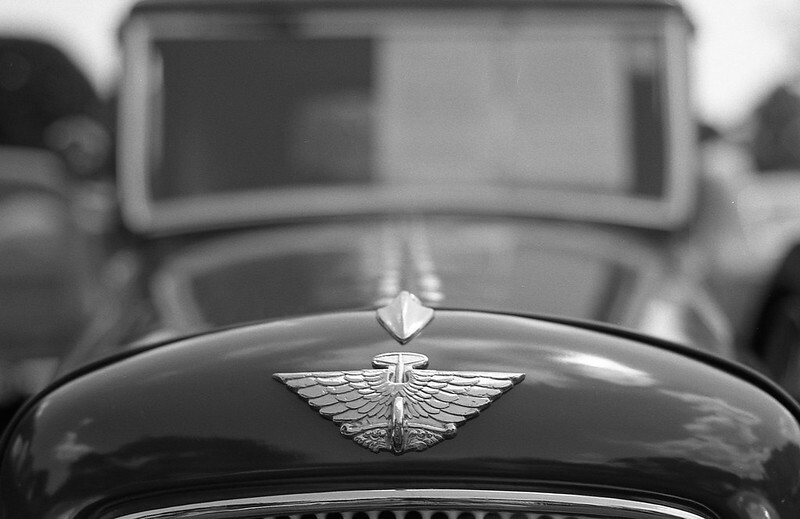 #4 – A bit of bonnet bokeh. 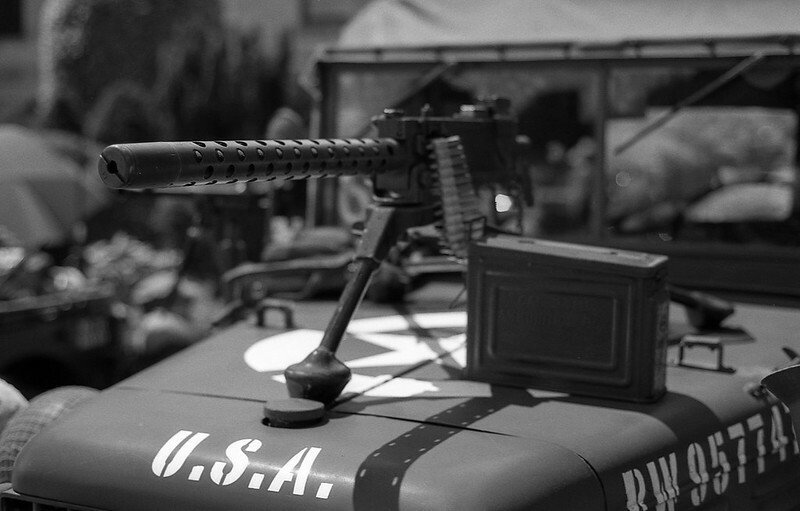 #5 – A Browning M1919 atop the hood of a Willys Jeep. 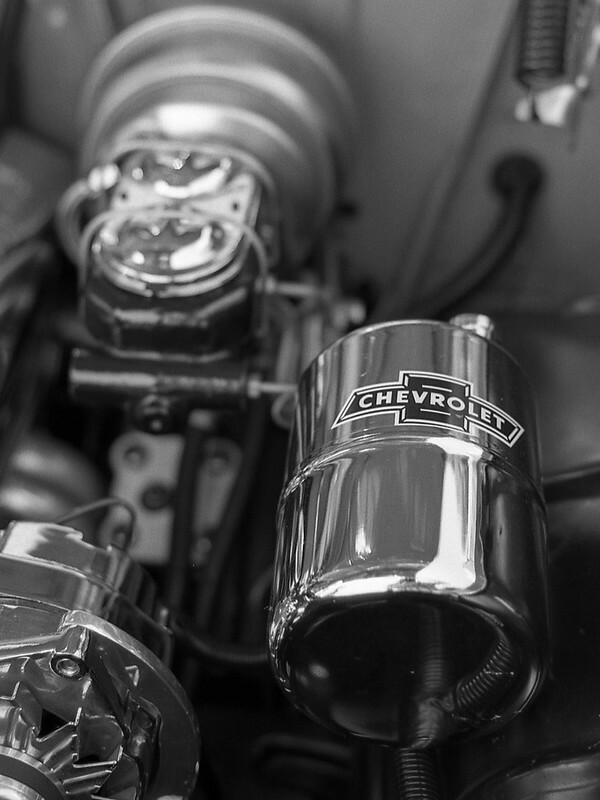 #6 – I think this was inside the Model-T.
#7 – Under a Chevvy’s hood. 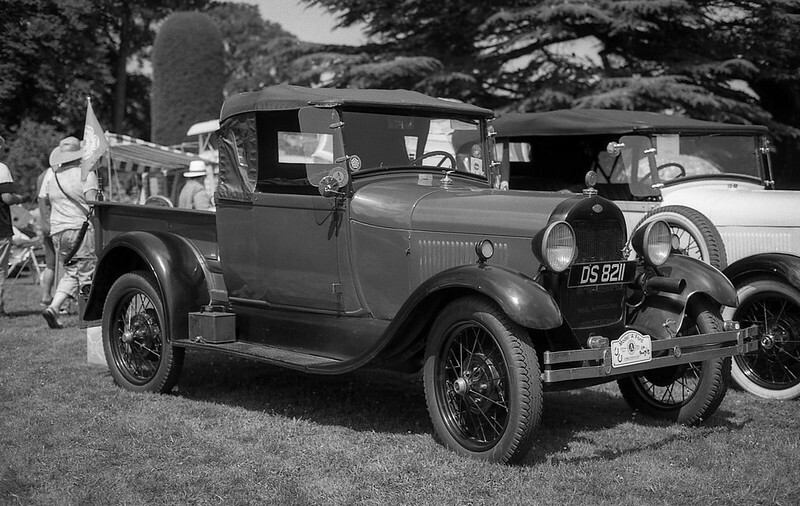 #8 – Morris 8 bonnet. 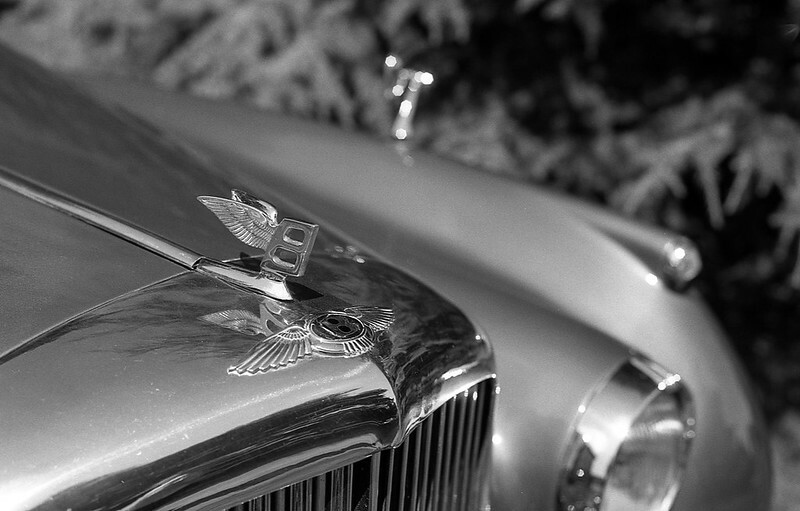 #9 – Bentley bonnet (not sure of the model). 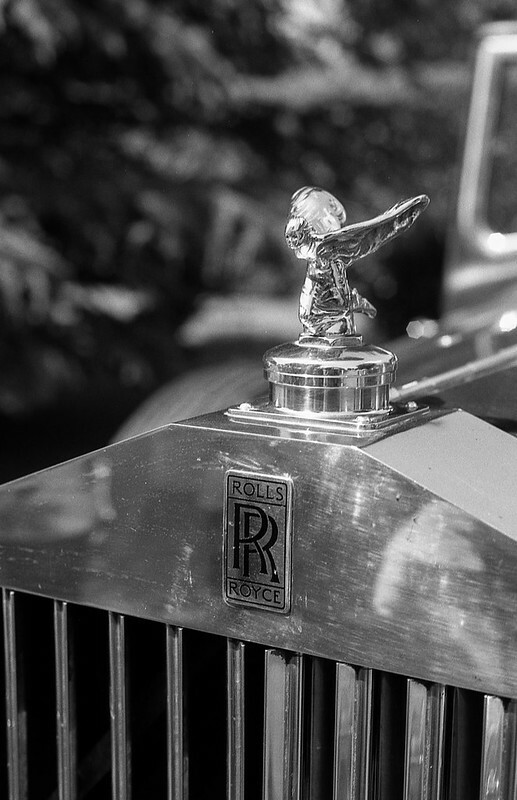 #10 – Rolls Royce grille – again, not sure of the model. 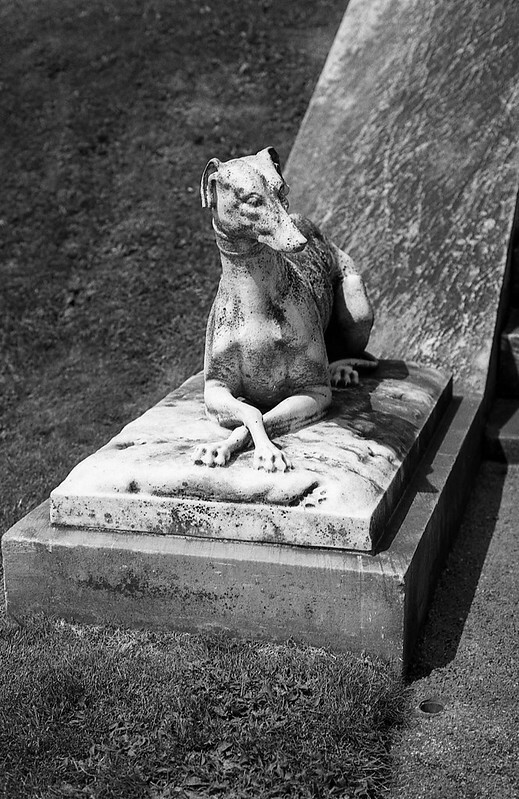 #11 – A sunlit statue. 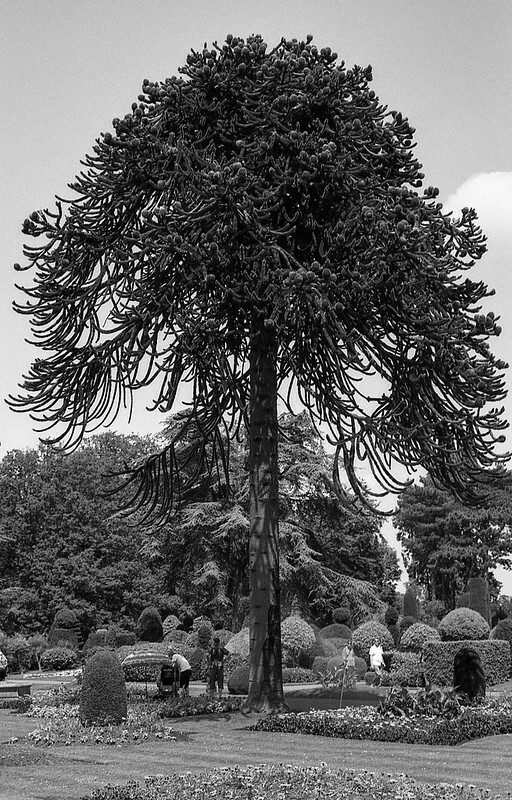 #12 – A large monkey puzzle tree in the gardens. #13 – Another sunlit statue. 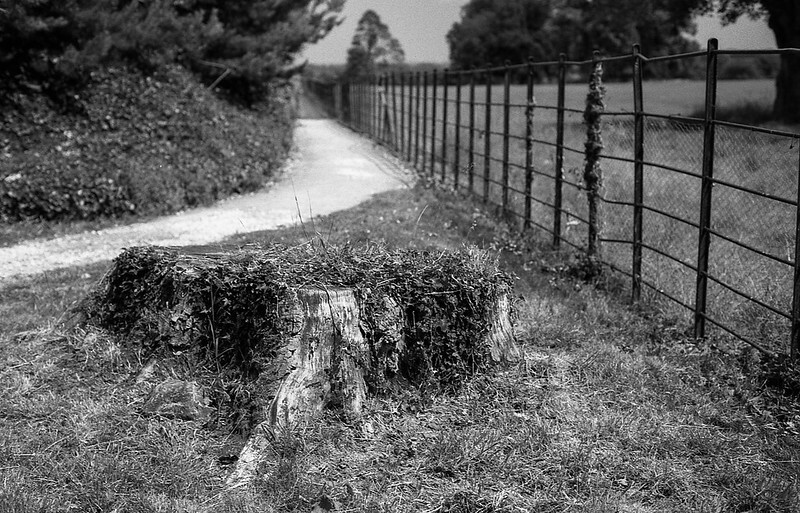 #15 – A tree stump and footpath. 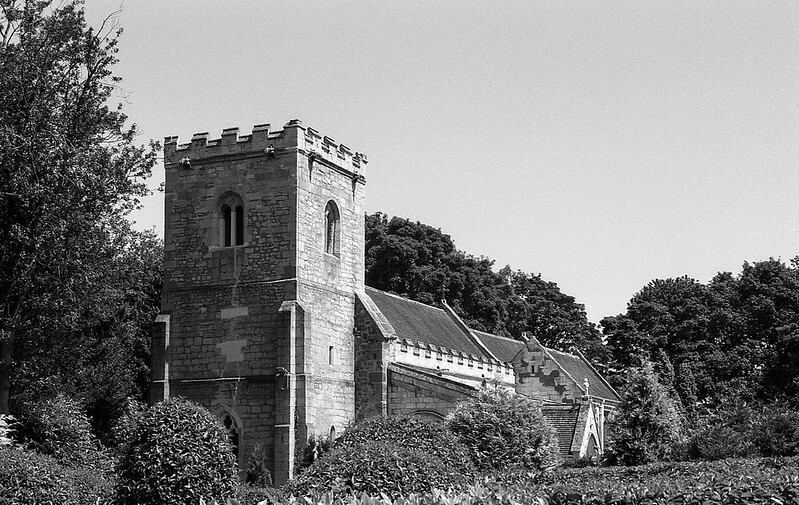 #16 & #17 – Brodsworth church. 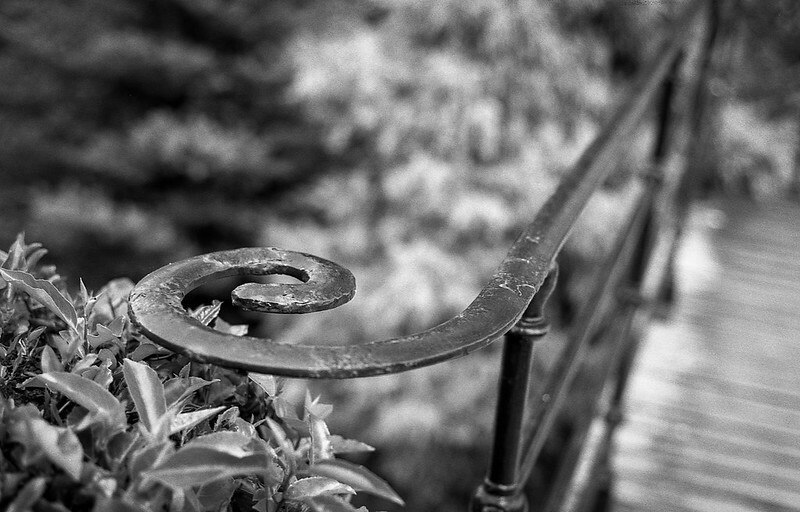 #18 – And finally, a metal handrail on a bridge that went over a sunken garden area. I really like this shot. 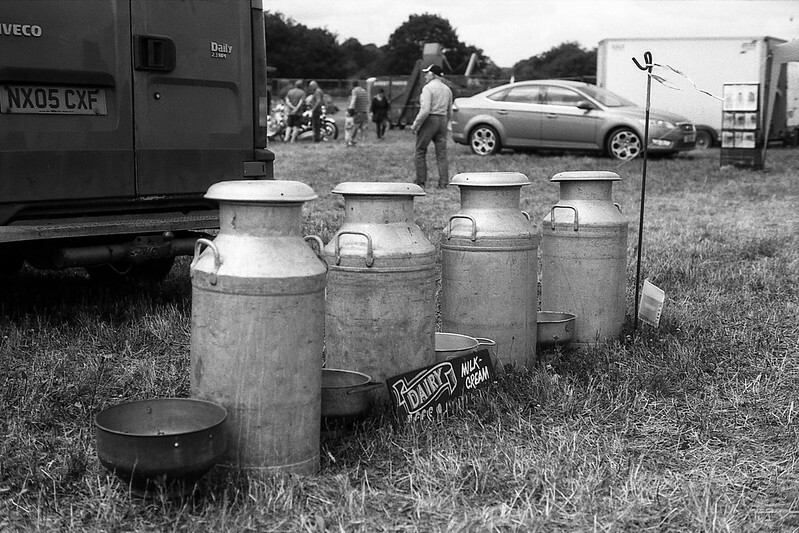 …I seem to have built up something of a backlog over the past few weeks, mostly as a result of shooting more than I normally do – a roll-and-a-half in York the other week, three rolls at Brodsworth Hall the weekend before last, and a roll and a half at a steam rally I attended this past weekend. I’ve posted a bunch of shots from York and the classic car event at Brodsworth Hall already, but I still have a load of other shots from both outings I’d like to share, and in the interest of catching up, I think I need to do a bit of a photo-dump, so in this post and the next, I’ll show the remaining shots from Brodsworth Hall – these all on 35mm Ilford Pan F Plus 50 film and shot with my Nikon F70 with the Nikkor 50mm f/1.8 AF-D lens. 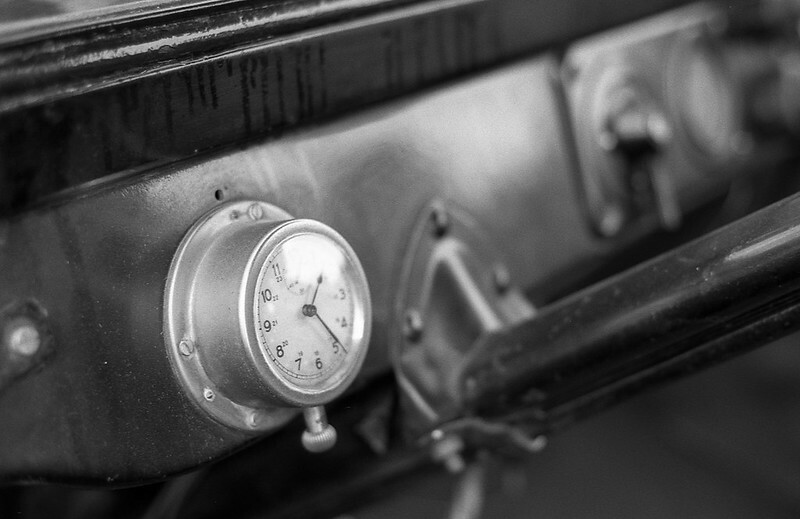 This post will show car portraits, the next some detail shots, abstracts, and general photos taken as I walked around the grounds at Brodsworth. 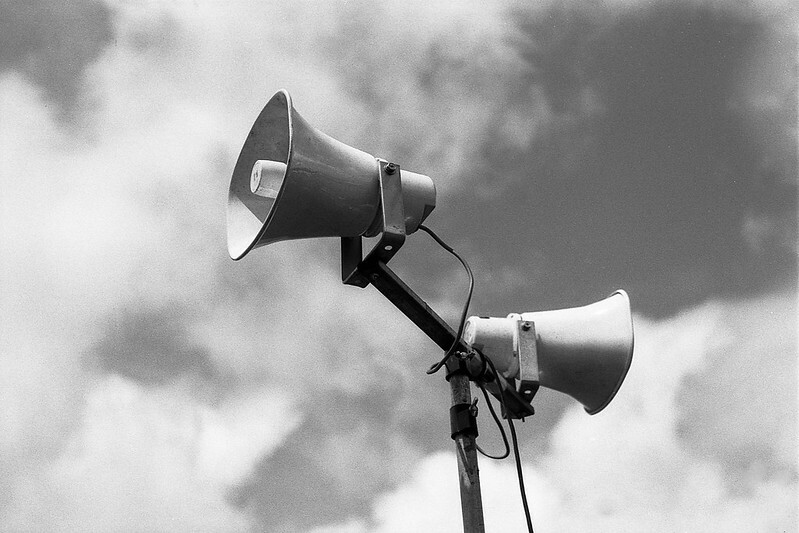 Before I start though, I’d just like to comment on how happy I am with the Pan F Plus. It has a lovely character, really suited to nice sunny days, and the grain, while present, is pleasantly fine. 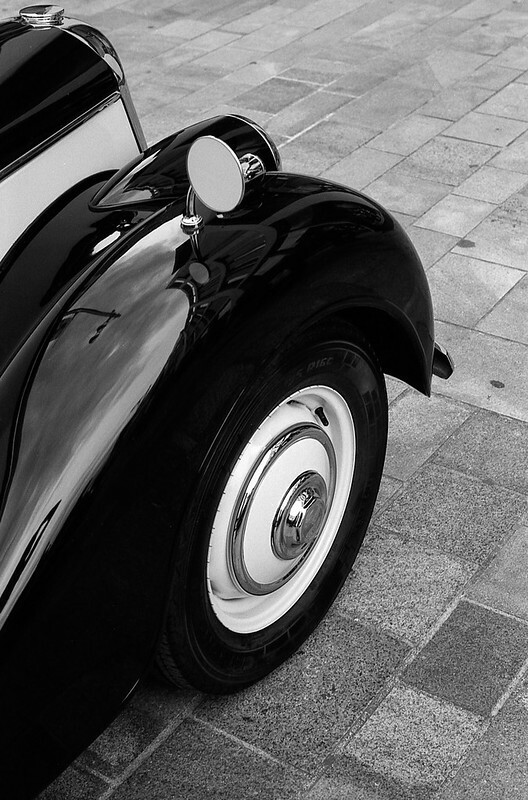 It certainly suits shots of classic cars. Definitely a film I’ll shoot again. Anyhoo, without further ado, here are some cars! 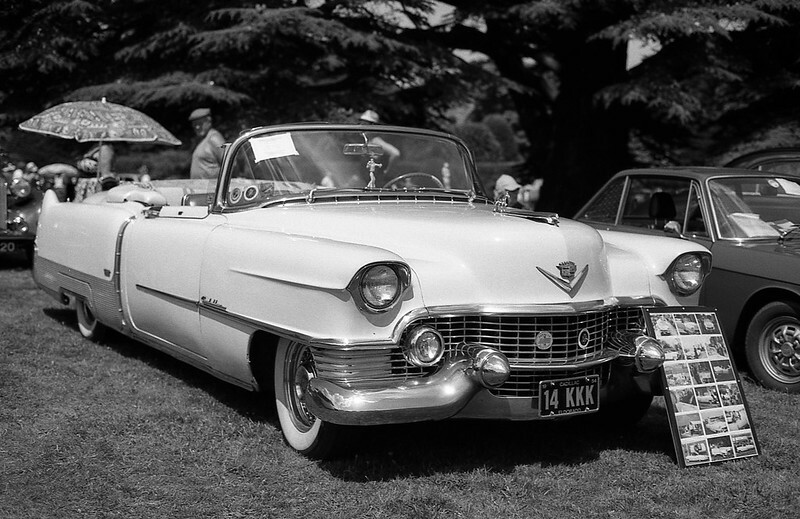 #2 – Cadillac Eldorado. Lovely car, not sure about the registration plate though! This is a follow on post from the previous entry, this time containing the Kodak Portra 400 shots taken with my Yashica Mat 124 G. The film was slightly expired (although the date on it was 2016, so it’s still more-or-less fresh really). 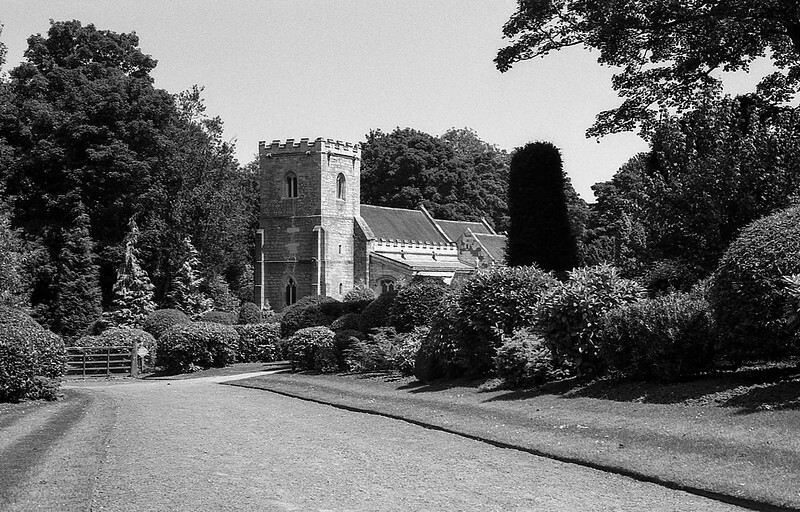 Brodsworth Church is not actually part of the English Heritage site and, as far as I could ascertain from my brief walk around it, not accessible from it either. There were a couple of gates that I suppose I could have climbed over, but they were padlocked shut, so I didn’t take the chance. 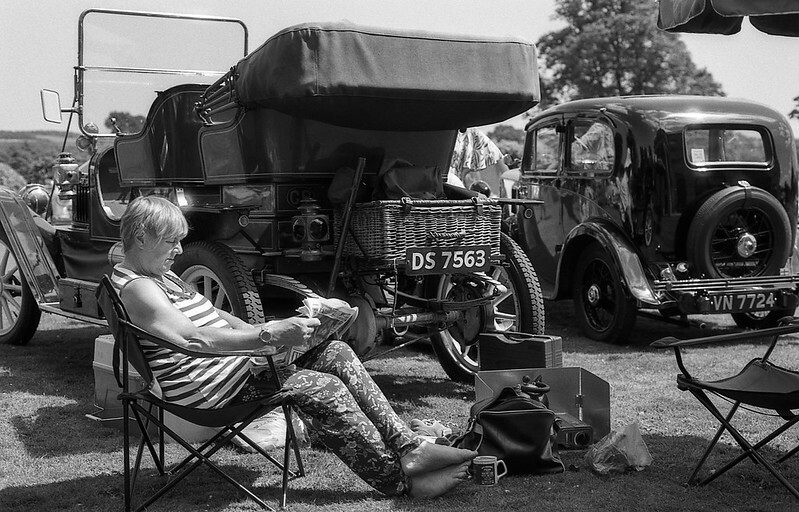 And finally, a bunch of car shots, my favourite being the elderly couple looking at the Bond Bug, which I think has a quirky “Martin Parr” feel to it. NOTE: Some of the images in this post are showing broken links. The images are still there if you click them, but they are not being displayed for some reason I can’t fathom. 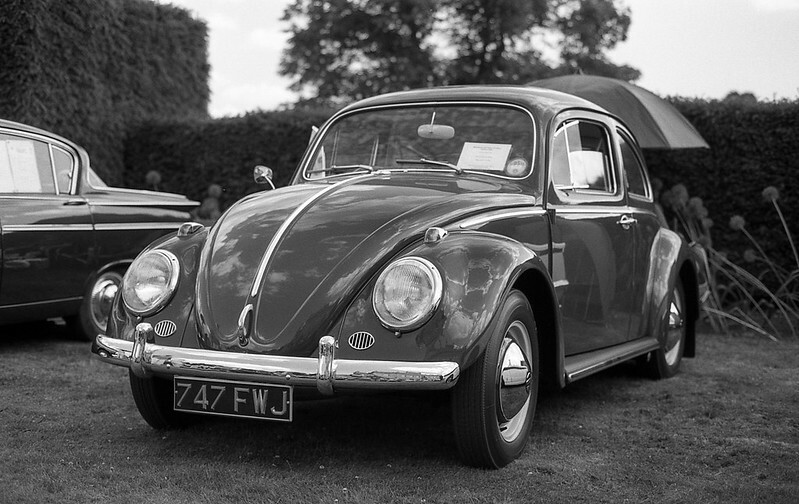 It was a rare Fathers Day this year where I got to go out and do something rather than being stuck at home because my wife was at work and, as luck would have it, there was a classic car event taking place at Brodsworth Hall on the day in question. Brodsworth Hall has the benefit of both being not too far away, and also being another English Heritage property that I can use my membership benefits to gain free access. It’s not a place I’ve visited before, but it looked very nice in the English Heritage booklet they sent me, and I’d been planning a visit even before I discovered the classic car show was on. The hall is one of the most complete remaining Victorian country houses in the country and has, apparently, remained largely unchanged since the 1860s. 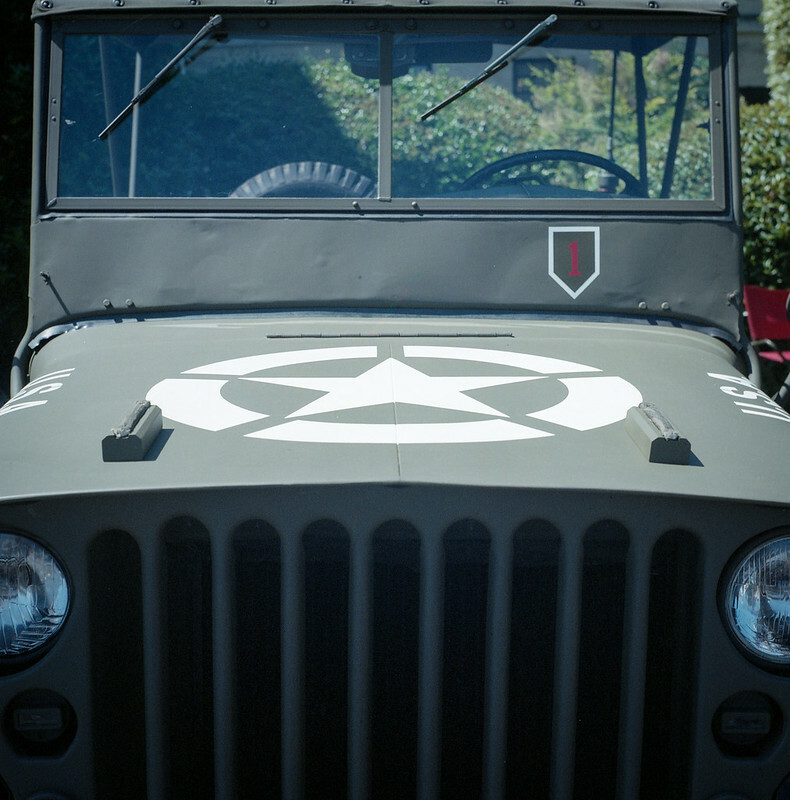 The day I visited was probably not the best on which to appreciate the house and gardens however due to the large numbers of visitors, not to mention dozens of vintage motor vehicles parked around the place. I also managed to lose my way on the drive there. I’d assumed that there would be signposts on the A1 (there are certainly signs for the hall on the southbound carriageway as I saw them on the way back from York last week), but either they aren’t present or (more likely) I managed to miss them – probably because I was overtaking a lorry that obscured the sign or something. That’s usually the cause! 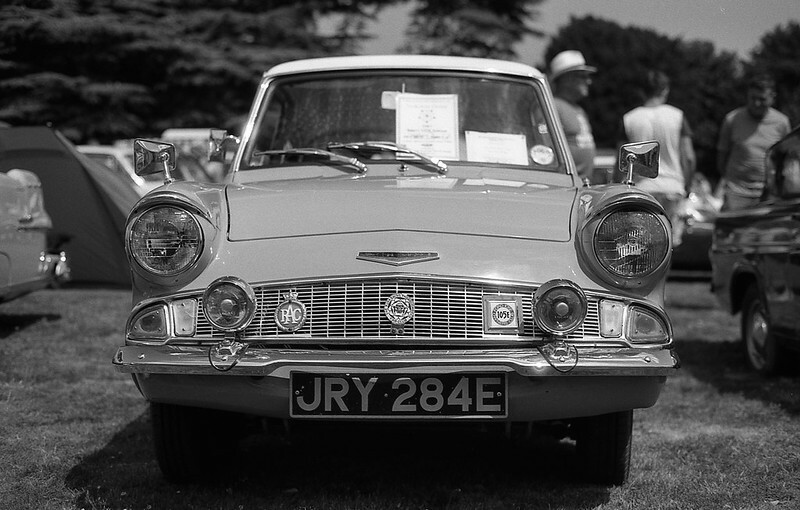 Thankfully, despite taking the wrong exit, there were yellow AA signs showing the way to the “Classic Cars”, and after about ten minutes I reached the entrance to the grounds. Along with dozens of other cars… It must’ve been a good ten minutes from entering the grounds to getting parked thanks to the large number of visitors, and as the temperature was over 30 degrees, I was very glad to be in a modern, air-condition car rather than one of the attractive, but less well equipped vehicles on show. 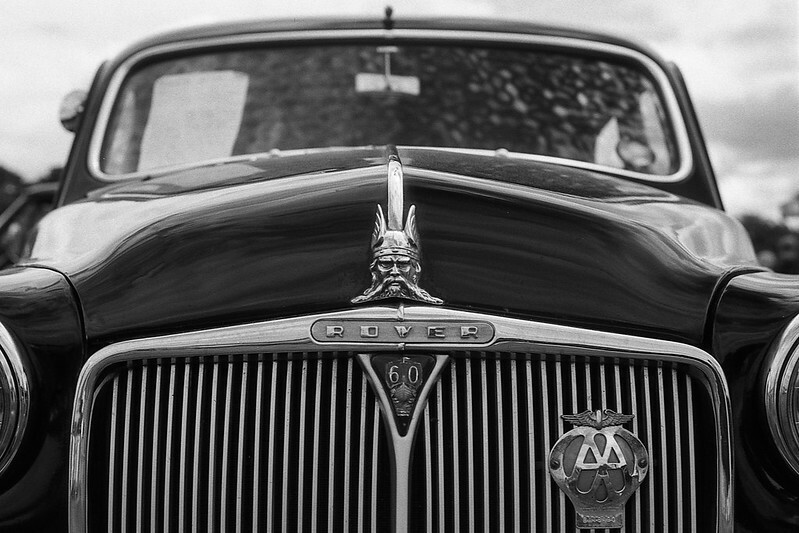 I’d come the the Hall with a couple of cameras – my Yashica Mat 124 G, and my Nikon F70. 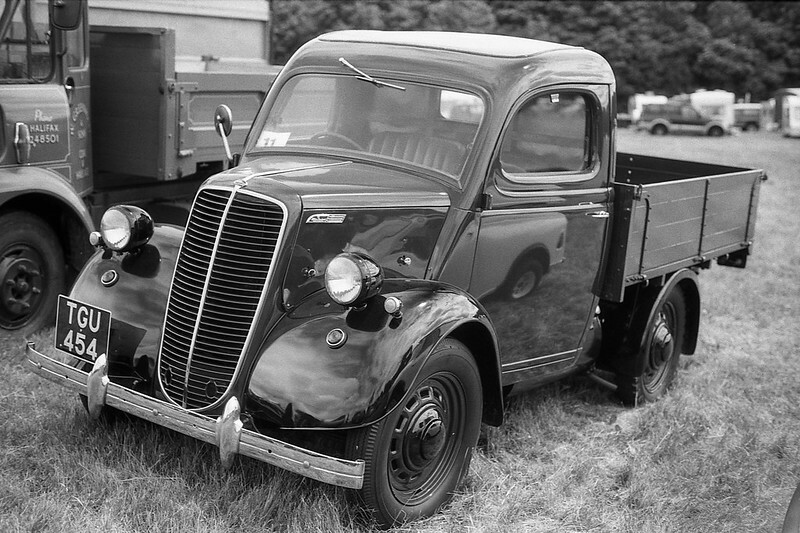 The F70 contained a roll of Ilford Pan F Plus 50 that I’ve had for a few months but been waiting for a nice bright day to shoot it, and the Yashica had a roll of Ektar, plus a roll of (slightly expired) Portra 400 & some Fuji Acros on standby. 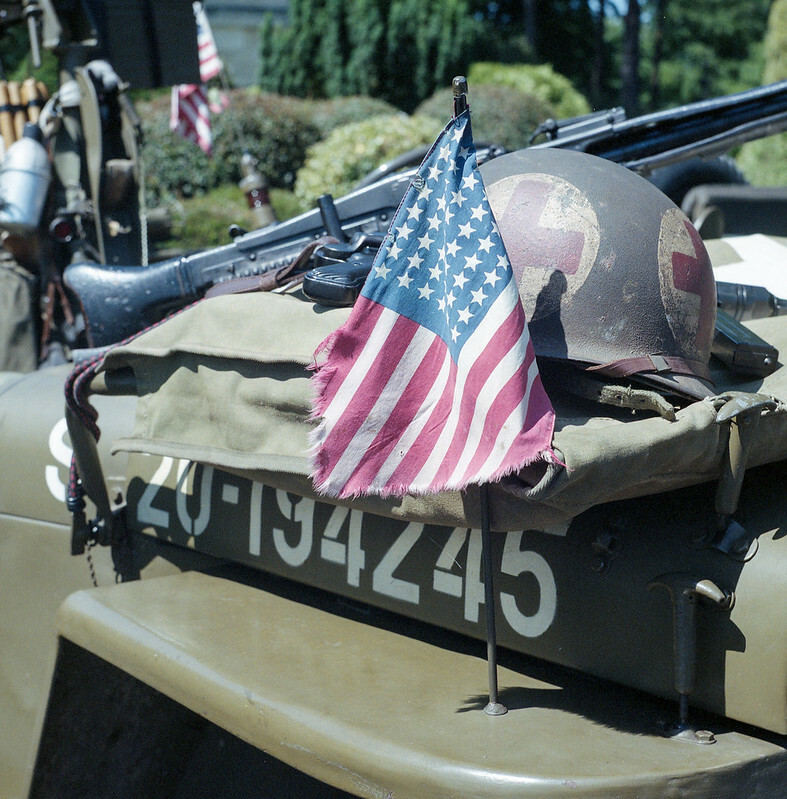 In the end I shot the Ektar, the Portra and the Pan F 50, but didn’t use the Acros, and the shots in the post are of the the Ektar (I’ll add another post or two containing the Portra and Pan F shots at a later date). I’m not going to add descriptions for the all the shots below (I’ll likely embarrass myself by getting the names of the cars wrong or something), but might add a few notes where I have something to say (note: I was going to say “something interesting to say”, but that might be pushing it. 🙂 ). 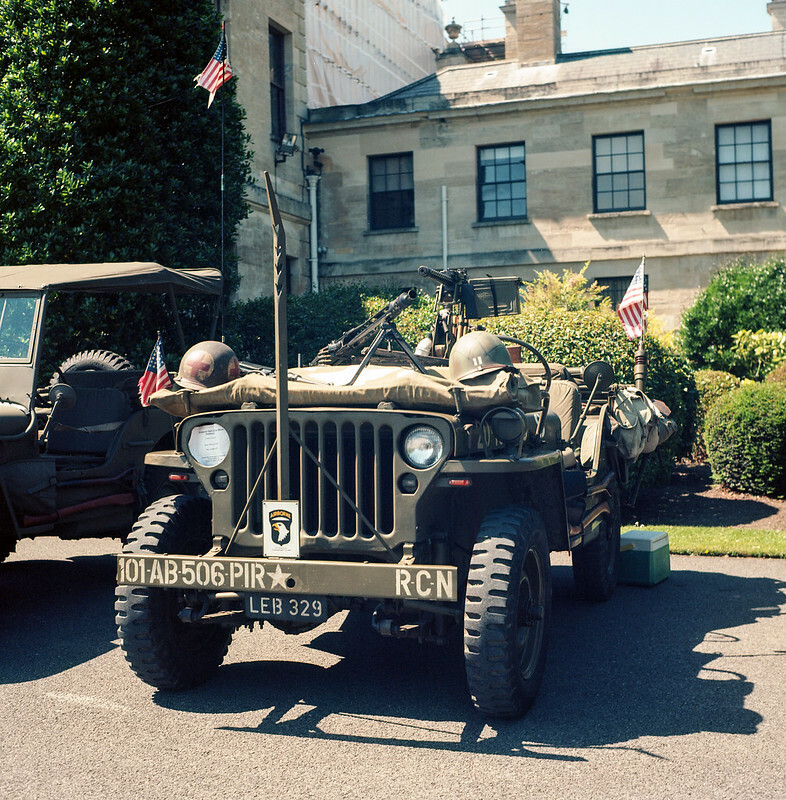 The first couple of shots are of some US Army vehicles from WW2 – a couple of Willys Jeeps to be precise, and I got a couple of shots with the Ektar (and some later shots with the Portra and Pan F 50 too). 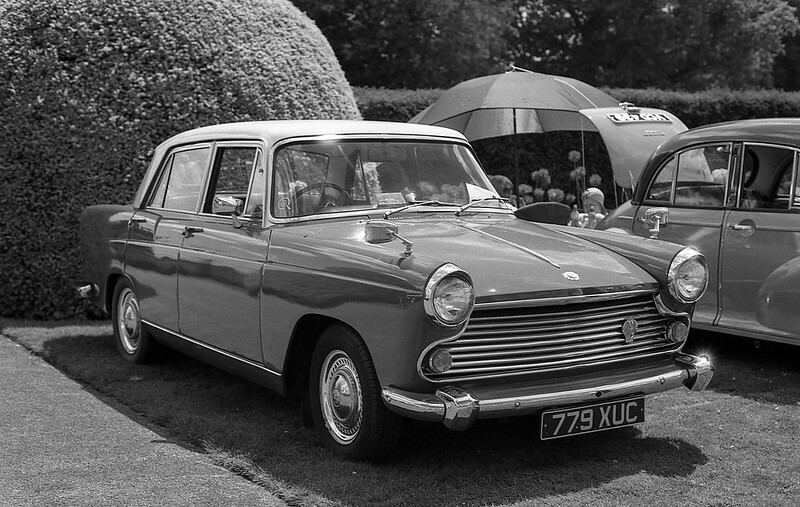 The next couple are of a Morris Oxford. 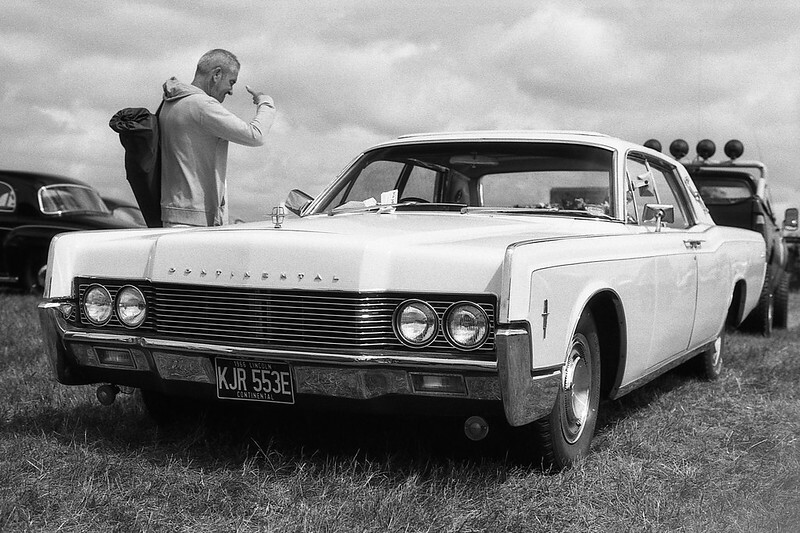 This is notable for me as my granddad had the same car and I rode in it on many occasions, including multiple trips to their caravan at Mablethorpe. His was green though. My memory of it from being a child was that it was some sort of big, finned, American-looking thing, but the reality differs a little. 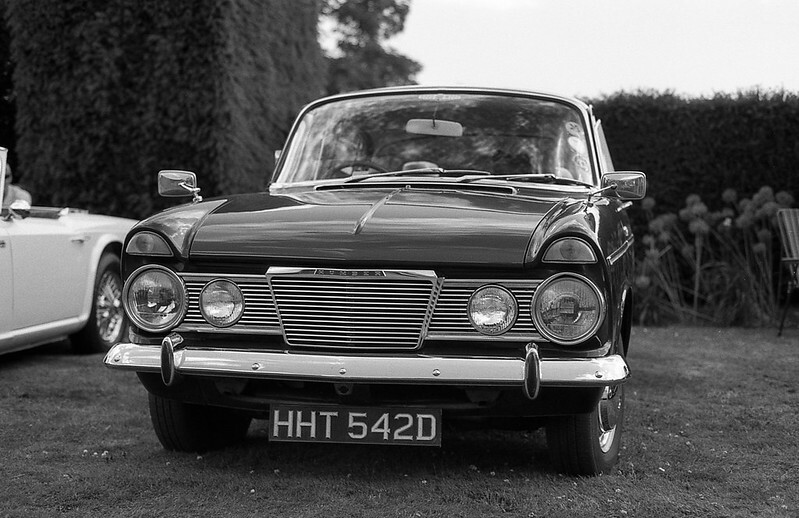 Still a nice car though, and one I have fond memories of. The rest are shots of various other cars. The line of Morris’s and the two American machines are my favourites of these. 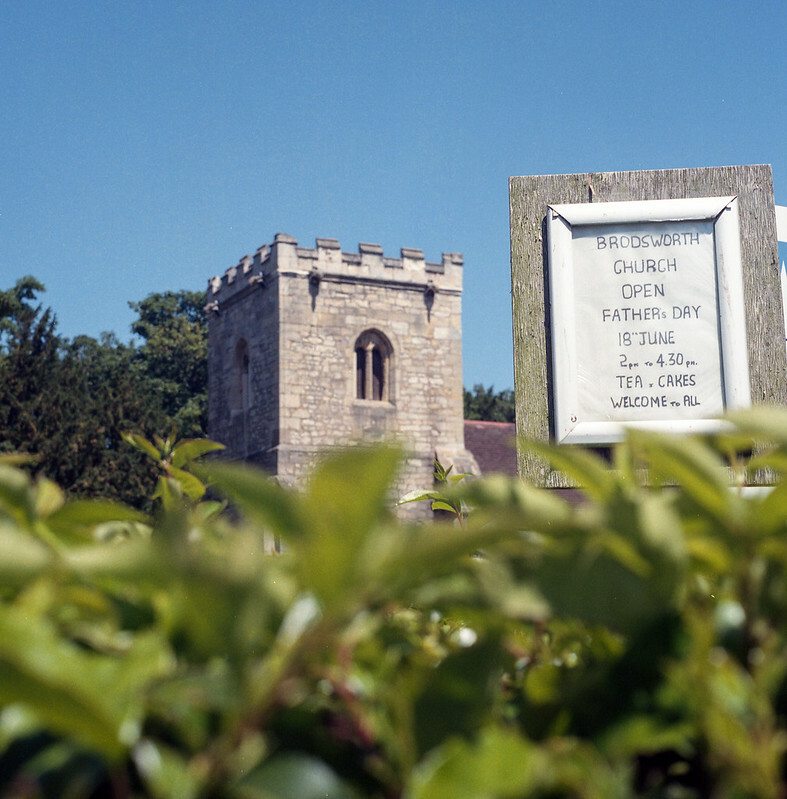 As a quick postscript to this post, I noticed that a few of the shots from the roll had a colour cast to them. I’m not sure why this is, but can only assume it down to the direction I was pointing the camera and the angle of the sun as all the shots pointing away from the sun seem to be ok. I didn’t have my lens hood with me, so maybe it was caused by flaring of some kind? I colour corrected the shots in question (maybe not perfectly!) to remove the worst of the cast.